Veselin Stoimenov, nicknamed “Fat Vesco”, was shot dead in Sofia overnight. Seven shell casings from an automatic weapon were found near his body and the victim has been executed with a shot to the head in the style of the best gangland traditions. Stoimenov is known as the “liquidator of VIS-2”, the latter alleged to be one of the two main organized crime groups in Bulgaria in the 1990s. After the death of the VIS-2 boss, Georgi Iliev, “Fat Vesko” became the owner of numerous properties and facilities of the group. He is also close to drug lord Hristoforos Amanatidis AKA Taki, who is a fugitive abroad. Despite the terminated contract, Stoimenov’s people continued to provide boat tours both in 2014 and 2015, relying on an absurd civil lawsuit against MEW that is still pending. The company has lost all administrative legal cases that it filed, including at the Supreme Administrative Court (VAS). The Regional Inspectorate of Environment and Waters (RIEW) requested twice the assistance of two different regional governors – “the red” (socialist), Pavel Marinov, and “the blue” (right-wing), Vulcho Cholakov – to forcefully make the boats leave the State reserve. Both times it received a refusal. Thus, the company continued to unperturbably use the reserve, to provide boat tours for tourists and make money. The crowning of this absurdity is the fact that the State is not receiving any money in concession fees since there is no way to account for it because the service is illegal. The contract with “Venis Marine” for boat tours along the lower reaches of the Ropotamo was signed on October 24, 2012, by the former head of the Regional Inspectorate for Environment and Waters in Burgas, Boycho Georgiev, who became infamous in the scandal known as “Dunes Gate” for the speedy issuing of construction permits in protected areas. After the scandal with the illegal construction erupted, the contract of the company was terminated. In a letter with reference number 6177 from August 12, 2013, the Regional Inspectorate of Environment and Waters in Burgas informed the company that due to the illegal construction, it was unilaterally terminating the agreement for the boats that was signed on October 24, 2012, and ordered “Venis Marine” to vacate in full the premises which are exclusive State property. The then Regional Governor of Burgas, Pavel Marinov, from the Bulgarian Socialist Party, BSP, (exposed by Bivol as a secret partner and person close to senior Russian officials in the defense sector) refused assistance for reinstating order in the State reserve. In early 2014, Georgiev’s procedure for selecting “Venis Marine” was declared unlawful by the Burgas Administrative Court. The decision was upheld by the Supreme Administrative Court, with Decision 4494 / April 22, 2015, which is final; cannot be appealed and clearly stated that no private company has the right to use in any way the protected area because the mere bid has been conducted by Boycho Georgiev under an unlawful procedure. 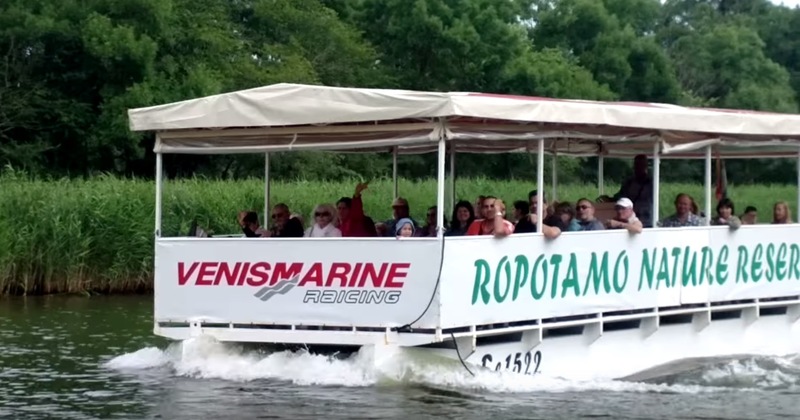 Immediately after the final rule, the Director of RIEW Burgas issued Order № 64 from April 29, 2015 to apply a Coercive Administrative Measure (PAM) to instantly stop all tourist services “Ropotamo Boat Tours” in the reserve “Ropotamo” performed by “Venis Marine” LTD. The company was invited to vacate the “Ropotamo” reserve and all contracted facilities. Despite the orders of the Regional Inspectorate, in 2015 “Venis Marine” moved again to the pier with its catamarans and resumed the illegal service for which the State gets nothing. RIEWs attempted once again to evict the company from the reserve. And once again, before the start of the season, the Regional Governor of Burgas refused to cooperate with the environmental inspectorate. Only now it was not the left-wing Pavel Marinov, but the right-wing Vulcho Cholakov. On July 28, 2015, VAS confirmed the preliminary execution of the order of the Head of RIEW Burgas for the immediate suspension of all activities related to the tourist service “Ropotamo Boat Tours” in the natural reserve “Ropotamo” provided by “Venis Marine” LTD. This was done by order № 9075 from July 27, 2015, in the administrative case № 7876/2015 on the docket of the Supreme Administrative Court. On the same day, MEW’s press office sent a press release asking the company to vacate the exclusive State property in the “Ropotamo” reserve and all facilities it has illegally occupied. The order to vacate was grounded on the need to protect vital State and public interests and to not allow this activity without a legal basis for it, as MEW claimed then. However, once again the state and the Regional Governor Vulcho Cholakov refused to cooperate in the protection of vital state and public interests. In practice, the State had helped a thug company to illegally occupy “Ropotamo”; unperturbedly finish the 2015 season and collect several hundred thousand levs. We are yet to see if history will repeat itself in 2016, after the company’s boss Veselin Stoimenov was murdered.